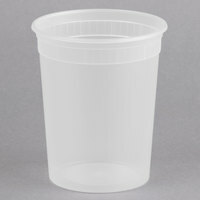 We have round, rectangular and square containers for any application. 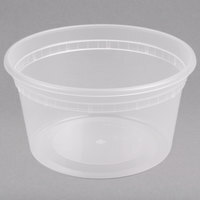 Choose from tamper-evident deli containers to protect food, and recyclable, eco-friendly containers for eco-conscious customers. 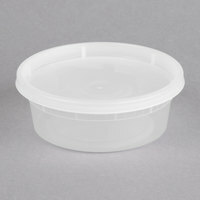 We even carry microwaveable deli containers for soups and hot sides. Also make sure to check out other great items from Choice, ChoiceHD, D&W Fine Pack, Dart, Dart Solo, Eco Products and Fabri-Kal. 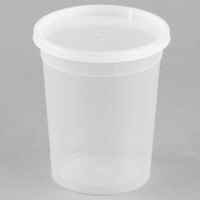 We stock containers ranging from 4 oz. and 8 oz. 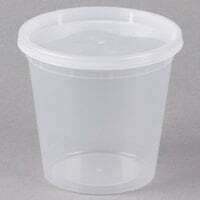 single portions to 32 oz. and 128 oz. 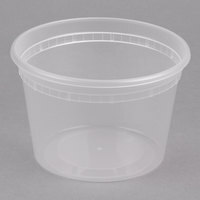 family-size containers. 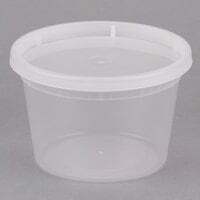 We also offer lids for many of these sizes. 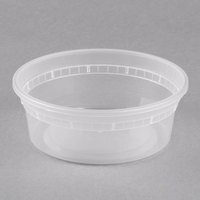 These containers are made of translucent plastic or white and black plastics, and they come in a variety of shapes, so you can find one that will work best with your food. 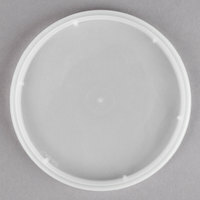 For other deli supplies, be sure to see our deli trays, deli bowls, and deli cups and lids. 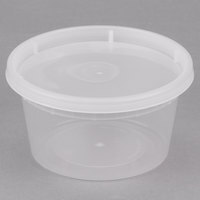 If you're wondering where to buy choicehd deli containers, we have a large selection of choicehd deli containers for sale at the lowest prices.